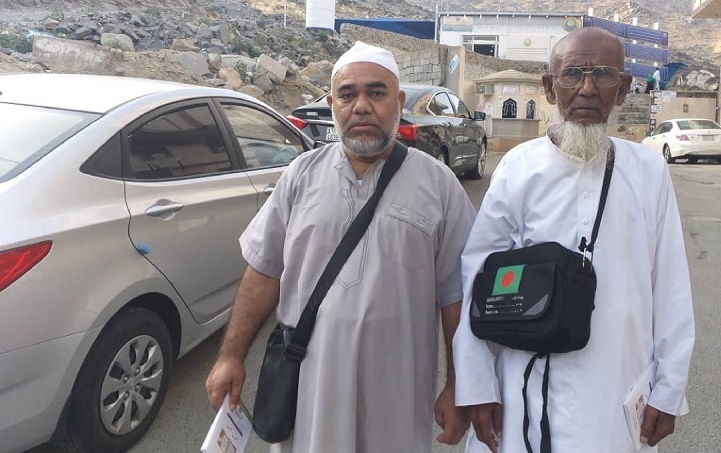 Two Bangladeshi nationals, who went to Saudi Arabia to perform Umrah, were killed in a road accident at Wadi-e-Jinn in Madina on Monday, UNB reports. The deceased were identified as Joynal Abedin, 75, and his nephew Nazim Uddin, 60, hailing from Sadar upazila of Narsingdi. They went to Saudi Arabia for performing Umrah. Witnesses said a private car hit Joynal and Nazim in the evening when they went to visit the Wadi-e-Jinn (Jiner Pahar), leaving the duo dead on the spot. The accident also left several other people injured, they said.